When ultimate players prepare for the running demands of the sport, we practice our footwork and change of direction. We run through the motions of our sport, broken down into their components. When we lift—if we’re following best practices—we use lifting moves that emulate what we’re doing on the field. We’re deliberate about working in single leg strength and stability and we move through the movement patterns we expect to perform on the field. Bringing that same intention, specific activation, and focus on movement patterns to your core work will elevate your game by reducing your risk of injury and increasing your transfer of power on the field. Your core is the foundation of all movements. And by core, I mean not just your abs, but all the muscles that envelop your trunk, protect your spine, and anchor into your pelvis. Let’s look at how we use our core in ultimate. Then, we’ll explore specific areas of core training that you can add into your routine. Think about one change of direction during a cut. If you head into the turn with a strong core, you can strike out at the ground with your legs and explode in your new direction. If you’re running into turns looking like one of those used car lot balloons and you fold through your trunk each time you try to turn, you’re wasting energy on straightening yourself back out and pointing your upper body in the new direction. Your core is your powerhouse. If your core is weak, then you won’t be able to activate it properly to initiate movements and stabilize for the demands you put on your body. This shifts those demands onto other parts of your body, requiring those other muscles that were not built for that function to take over and try to compensate. This can result in pain, discomfort, instability, inefficiency, and a decreased ability to reach your potential. Think about areas of your body or movements where you experience pain or discomfort. How could your core support those areas or movements? Ditch the eight-minute abs routine and start building a strong core that’ll actually enhance the way you play. Let’s be honest—crunches are simple. You lie on your back, curl up a ways using your abs, repeat until it hurts or you get a six-pack. But what functional movement do those crunches support? How often do ultimate players bring their ribcage down towards their hips and bring it back up? It’s an incredibly infrequent movement, unless you’ve got some deficient movement patterns. Redirect your core work to replicate the movement patterns of the game and the kinds of stresses you’ll have on your body. Think through the kinds of core stabilization you’ll need to perform. If we consider one change of direction, we need to be able to stay strong as we bring our legs up towards our chest and sink into a squat, through dissociated hip movements (where our legs point a different direction than our chest), and through driving our legs down and away from our trunk into the ground. That’s just a simplified take on one set of movements. Layer in the demands of running at top speed, throwing different distances, layouts, and the reactive nature of defense, and we ask a lot of of our core. As such, the core work we do should include all the fundamental movements of the sport so that we’re ready when it comes to game time. Narrowing our focus even further, we can look at the hip dissociation element of the change of direction. Many ultimate players show up at RenFitness having learned to control these movements through their hip flexors. This can lead to tightness in the hip flexors, potential overuse injuries, and other compensatory problems throughout the rest of the chain, such as in your low back. We work with with them to try and retrain these movements. If your hip has a restricted range of motion thanks to years of compensating for a weak core with your hip flexors, that range of motion will have to come from somewhere. If that movement comes from your low back or your knees instead, that leaves you vulnerable to overuse injuries and potentially more prone to acute injuries. When players come to me complaining of a sore low back or tweaky knees, we can often trace that to restrictions elsewhere in the body. Believe it or not, my Achilles tendonitis bothers me the least when I’ve done proper core activation before I play! Take a look at one of my favorite hip dissociation exercises, hip circles. The objectives of this exercise are to create stabilization of your pelvic floor and lumbar spine through your core; and to find hip dissociation and create more mobility within your hip socket. Finding the right activation, then, is tantamount to doing this exercise correctly and therefore getting the proper transfer over to field movements. Despite your leg being extended, this is not a hamstring stretch. How high you get your leg or how big your circles are don’t matter—the important element is finding pelvic stability through your core and allowing the ball of your femur to rotate within your hip socket. Once you’ve got your core prepared to support your movements on the field, changes of direction will feel fluid and solid. Visualize a change of direction where you can keep running the whole time. As you strike out at the ground to make your cut, you load up the muscles of your leg and explode in your new direction. Your hips move freely from your trunk, so you’re able to start running even before your shoulders square up with your hips. Take a look at this clip of Manuela Cardenas making a cut from the front of the stack in the end zone. As she plants to change direction, her whole body stays stiff and supported through her core, angled toward her new direction. She then starts running with her hips pointed where she’s running, but maintains eye contact with her thrower throughout the cut by keeping her shoulders square with the thrower. She gains separation quickly and efficiently, then can see if the throw is coming or if she needs to clear out for the next cutter. When making a cut on offense, you have hip mobility and control that’s supported through your core, you can not only change direction faster and more efficiently, but also naturally check back with your thrower as you gain separation. Then you’ll know whether the disc is coming or if it’s time to set up another change of direction. I’ve seen and participated in a lot of team traditions of doing core work at the end of practices to get some “core conditioning” in. These often involve non-functional movements performed with poor form when already tired. To be clear, I believe it’s important to train muscular endurance for your core, since we need it to support us through the entirety of our playtime. However, reframing the core as the foundation of all movements, rather than an add-on or a simple conditioning routine, shifts where core training is done within workouts. RenFitness Core Coach Kira Morin and I collaborated recently on four different routines you can use to get ready for different kinds of workouts. We put together a series of exercises to activate your muscles for the movement patterns found in linear running, change of direction work, throwing, and a combination of all three. These workouts are available to RenFitness Virtual Members in video form with specific cuing by Kira, along with other stabilize workouts designed for ultimate players. 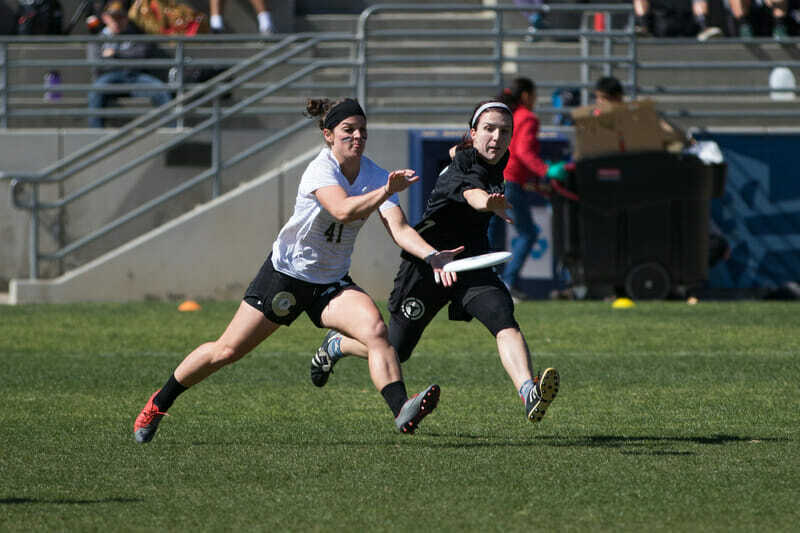 Comments on "Tuesday Tips: How To Rethink And Improve Your Core Training For Ultimate, Presented By Spin Ultimate"